Let me start out with first things first. Your attitude is going to play possibly the biggest role in whether or not you will get a job. Because of this, you need to be prepared for what your state of mind should be before you sit down in front of the interviewer. As with almost all aspects of life, everyone gets better with practice. To be a top contender for a job, there is nothing better than a successful interview, yet interviews can be intimidating prospects. Here are some suggestions to help you prepare to present yourself at your best. • Focus on three to four areas where your skills are the strongest. Knowing these will help you tell your interviewer why they should hire you. • Practice describing your special talents and skills. • Examine your work and education background. Look for skills and experiences that match the job description. Employers want real examples of how you behave professionally. • Identify examples that relate to the job description and where you have performed well using your skills and background. • Organize your thoughts and communicate clearly. • Describe your role or task. • Describe the results of your action. • Include what you learned or what you might do differently in the future. • Memorize your answers ahead of time but do NOT come off like the answers were memorized. No one wants to listen to a scripted, pre-recorded message but you also want to make sure you say the right thing. Organizing your thoughts ahead of time and practicing them aloud will help you to feel more confident and communicate clearly in the interview. Be able to describe your useful skills in layman’s terms in case your interviewer is not an expert in the field. SITUATION: When I worked at the state library, many of the books were not filed correctly. TASK: I was in charge of shelving books on three floors. ACTION: I designed and proposed a new employee training method to my boss. I then presented the new method to the library assistants at the next staff meeting and everyone contributed ideas for the new training on shelving. RESULT: After that meeting, there were fewer misplaced books, and customers asked fewer questions about finding missing books. Practice the interview process to improve your communication and overcome nervousness and anxiety. I would go so far as to interview for jobs that you don’t even want, just to practice. You should be able to work on your demeanor and confidence level if you know going into the interview, it isn’t a job that you want. Try new things here and see what kind of response you get. When you don’t have to worry about getting the job, you can focus on the fundamentals of being an interviewee. Mock interviews will help you as well. You can do them with a friend or family member or in a mirror. You do whatever you have to do in order to get the job. This may sound like an odd thing to have to do but you won’t think it odd when you get the job because you were prepared. Mock interviews help you get a feel for the interview process. They’re also an opportunity to create a personality in your head that you can tap into whenever you’re in this type of situation. Being a good interviewee is not about how smart you are, it’s about how trained you are and how comfortable you are. Believe me when I tell you that you’re comfort level will increase exponentially, the more training you have. Practice verbalizing how your background, skills and abilities fit the job you are interviewing for. Behavioral based interviews and questions have become standard practice. Recruiters ask for detailed descriptions on how you handled yourself in certain tasks and situations. The premise is that past behavior predicts future performance. First impressions are lasting ones. Often, they are made during the application process, even before the interview starts. • Voice messages may be the employer’s first impression of you. - The message on your answering machine or voice messaging should be courteous and professional. - Inform everyone who might answer your telephone that employment calls may come at any time. If you feel your roommates or members of household are unreliable, consider listing cell phone number. Be sure to manage your cell phone calls appropriately. • Any time you interact with a potential employer or anyone on their staff, imagine that they are evaluating you. • Be respectful in the way you dress and the way you act. • Be positive, upbeat and professional when corresponding in person, by mail, phone or email. • The person answering your questions or taking your application may be the CEO sitting in for the receptionist on a break. You never know! • Research industry expectations regarding attire. This could be simply walking through the lobby of the workplace to observe how employees dress. • Being dressed a little more formally than your Interviewer is acceptable. It shows respect for them, the position, and the company. • Get plenty of sleep the night before. Your physical appearance will be at its best when you are alert and rested. • Avoid perfumes and cologne. Your spouse or significant other may think you smell great, but the person who interviews you may not. • Map your route to the interview site. • Plan to arrive 10-15 minutes early. • Introduce yourself to the receptionist and tell them the purpose of your visit along with your name. • Thank the receptionist for their assistance. • The receptionist is one of the first employees of the company you will meet. While receptionists may not be making hiring decisions, they may mention their impressions to the interviewer. • Greet your interviewer using Mr., Ms. or Mrs.
• Tell the interviewer your name. • Wait to be offered a seat before sitting. • Relax yourself to appear friendly and be memorable. • Engage in the conversation, be responsive and take initiative. • Don’t worry if the conversation catches you off guard, the interviewer may be testing you to see how you react under pressure. Try to relax and respond naturally. Many interviewers will begin the interview with casual conversation. This is a prelude to the interview where they examine your responses for qualities the company seeks. One of the greatest things you can do for yourself is to come up with 5 questions to talk about before-hand. On top of that, come up with witty answers and responses that you can make to further the discussion. If this is practiced enough, your first impression will be a great one. Your goal in an interview is to show and tell your best qualities to the interviewer. Understand that the interviewer‘s goal is to evaluate you on criteria other than just your skill. 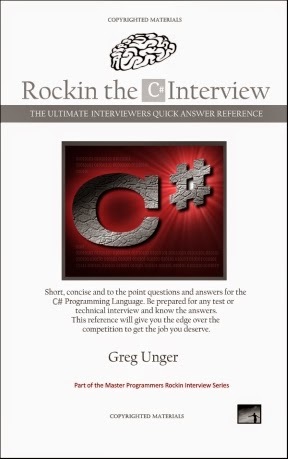 • Relate your background and accomplishments to the employer’s needs. • Don’t talk about what was wrong with past jobs or past employers. • Be sincere, positive, and honest with your answers. • Have your resume and/or portfolio with you in a professional looking folder. • Avoid mentioning financial concerns or personal problems. • Take notes during the interview. Make sure you write down everyone you speak to, dates, times and questions asked. This will make you look diligent and engaged and will allow you to reflect upon the interview afterwards. Do not however, ignore the interviewer in order to take notes. Short-hand works wonders here. • How well do you understand the job and meet its qualifications? • What skills do you use when interacting with others? • How mentally alert and responsible are you? • Can you draw proper inferences and conclusions during the course of the interview? • Do you demonstrate a degree of intellectual depth when communicating, or is your thinking shallow and lacking depth? • Have you used good judgment and common sense regarding your life planning up to this point? • What is your capacity for problem solving? • How well do you respond to stress and pressure? • Present yourself as interested and naturally enthusiastic about the job, not rehearsed and flat. • Research the position and organization to fit your skills to the job. • Sit up straight and look alert. • Maintain eye contact when being asked questions. • Be aware of your tone of voice. Keep it energetic and avoid monotone answers. Body language says more about an individual than their words. Match your body language to the impression you want to make. • Prepare 3-5 questions ahead of time. Again, being prepared here will behoove you. You will most likely ask the exact same questions in every interview, so be prepared ahead of time. The more inquisitive you are, the more interest you show. • Ask about the duties of the job early so you can target your answers to the position. • Pay attention to an employer’s body language and watch how they react to your questions. • Some employers may start the interview by asking whether you have any questions. Others will tell you that they have set aside time at the end for questions. Still, others might be comfortable with you asking questions throughout the interview. If the interview is not going smoothly, don’t panic. • Some interviewers might test you to see how you handle stress. • Ask your interviewer to repeat anything you don’t understand so you can gather your thoughts. Sometimes questions are asked simply to see how you react. • Give a natural response. When unexpected questions come up, take note of them either immediately or as soon as possible. If one person asked this question, chances are another might so be prepared with a witty answer next time. • Remain enthusiastic and courteous. • Prepare questions ahead of time to help you decide if the position is suitable for you. • Leave the interviewer(s) with three things that you would like them to remember about you. This is also an opportunity to give additional information about your background that you think is pertinent to the position and that was not covered in the interview. • What do you want the person in this position to accomplish within the first three months? • Are there are any important skills needed for the job that have not been covered in the interview? • What is the time frame for making the hiring decision? • What are the core working hours? • Does the position require me to be on call? • How big is the team I would be working with? • Is the environment laid back or a bit more rigid? • What is the starting salary? • What are the vacation related perks, company benefits, or other perks of the job? Wait for the interviewer to introduce these subjects. The best time to talk about salary is after you have been offered the job. You’re then in a much better position to negotiate. • This is usually indicated when the interviewer stands up. • Shake hands and thank him/her for considering you. • During the interview or shortly after, write down the name(s) of the interviewer(s) so you won’t forget. • Thank your interviewer for their time before leaving. • Send a thank you note via email or hand deliver within two days. The goal of an interview is to leave a positive impression. Remind the interviewer of your interest, but avoid being annoying.